I recently had the honor of helping an elderly family member during her final years and carrying out her wishes after she passed on. My relative was a savvy planner — she had worked for years as an executive secretary, one of the most responsible jobs available to women of her generation. It came as no surprise that she had carefully planned for some of her end-of-life expenses. 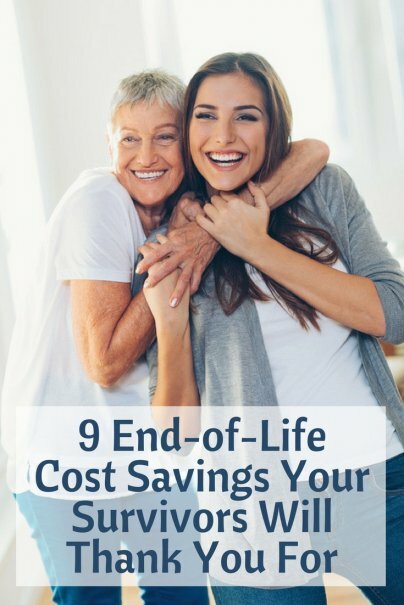 After handling the financial side of my loved one's final years, I made the following decisions to make things easier — and more affordable — for those who must someday do the same for me. If I learned one thing from handling my relative's estate, it was this: A revocable trust will save your executor time and money. A revocable trust is a legal entity to which you can transfer all or some of your property, such as investment and bank accounts or real estate. When you first establish the trust, you are the trustee; meaning you control the assets in the trust, and you also name a successor trustee who would take control of the trust if you become incapacitated or die. You can also name beneficiaries in your trust, just like a will, to receive the remaining assets after your death. The beauty of a trust is that many assets do not have to go through probate once you die; in contrast, many assets only listed in a will do still have to go through probate. Because my relative had set up a revocable trust, within months of her death, her heirs had deposited their checks, and the whole process was wrapped up with very little legal expense. If she hadn't set up the trust, I would likely still be working through the probate process and running up attorney fees. When my loved one was no longer able to live independently at home, I was naive enough to think that Medicare would pay for her to live in an assisted living facility or a nursing home. Not true! Medicaid pays for many seniors' nursing home care, but only once they've depleted most of their own assets and income. Each state has strict rules that generally prevent seniors from giving their money away in order to qualify for Medicaid support. What this means is that if you need to spend your final months or years in a home, and you didn't buy long-term care insurance, you will pay for it out of pocket, possibly spending everything you hoped to leave to your heirs. It's a tricky financial decision, because long-term care insurance is expensive; you'll pay $1,000 a month or more (potentially much more) for a policy that will cover the high expenses of nursing home care. And of course, you could pay insurance premiums for years and never spend a day in a nursing home. It sounds downright eerie to sit down in an undertaker's office and plan your own funeral. But it's a kind thing to do for your next of kin. One reason to pay for a burial plot or urn storage and service now is that this spends down money that might otherwise be paid to a nursing home. If you're in a home for years before you pass, there might not be any money left for your funeral, leaving your heirs in the position of having to pay for it themselves. The other nice thing about prepaying these expenses is that, if you're a no-nonsense frugal person, you can buy your casket at Costco or arrange to rent one for your viewing and save your heirs from feeling guilted or upsold into paying for a more lavish send-off than you would have wanted. By planning when you are of sound mind and body, you also give yourself the luxury of making price comparisons and shopping wisely; something your heirs may not be emotionally ready for or have the time to do once you're gone. Especially if you have a robust income in your later years, don't make your favorite charities wait until you're gone to receive the support you'd like to give them. You can cut the taxes you owe on any income you receive by making charitable gifts each year. Only the heirs of very large estates — currently over $5.49 million — will need to pay estate tax. But if this is your situation, you could save your heirs the tax by making regular gifts of up to $14,000 per person, each year. First of all, leave a will. If you don't have time to work with an attorney to transfer your assets to a trust, which does take time, for now at least write that will so that your heirs have something to go on if you die unexpectedly. If you don't leave a will, your estate will be settled by the court, a much more expensive and time-consuming process for your heirs. Have you ever heard stories of homes sold with cash or jewelry hidden in the walls or buried in the backyard? It has happened to families I know, when elders hid items of value and forgot where they were hidden. Even if valuables aren't literally hidden in the walls, they may be lost in the shuffle. In many an estate, sorting through a lifetime's worth of possessions is a huge burden on the heirs. Your heirs may simply turn your home over to an estate sale service and let them deal with it. If that happens, valuable items might get sold for less than they are worth. There is also the risk of hiring an unscrupulous estate sale planner who sells valuable items without giving the family a fair cut. Valuable keepsakes could even be thrown away along with old paperwork and used clothing. If you have jewelry or other items of high value, it would be a wonderful idea to gift them to family members while you are still alive, or sell them to a reputable dealer if that is your wish. If not, keep your belongings organized and labeled, and let loved ones know where any valuables are kept. If you have moved to a senior community or assisted living facility, have relatives assist you in selling your home as soon as possible. This will save you — and later your heirs — the expense of keeping up the home while no one is living in it. After your death, when the heirs are busy with your funeral and settling the rest of the estate, they may not have time to sell the home for months. In the meanwhile, costs can really add up: insurance, heat, electricity, lawn service, snow removal, maintenance. And if something happens to your empty home such as pipes bursting or squatters moving in, it could dissipate the value of this asset you worked so hard to acquire. If all this advice bums you out, here's an antidote: Enjoy what you have earned while you are alive. Take a trip. Hire some help. Get that new car you've been wanting. You don't owe your heirs a thing. While you don't want to leave them with debts, dying broke is a wonderful thing because it means you literally didn't leave anything on the table.